Combining classic style with modern craftsmanship, Rick Hinderer Knives introduces their XM-18 Bowie Blade. Sporting a two-toned handle of rugged stone washed titanium with black and green G-10, along with a durable CPM S35VN stainless steel blade, this knife is both beautiful to look at and reliable to work with. The Hinderer XM-18 Bowie Blade is an American-made high quality product that should get knife users, collectors, and enthusiasts excited. 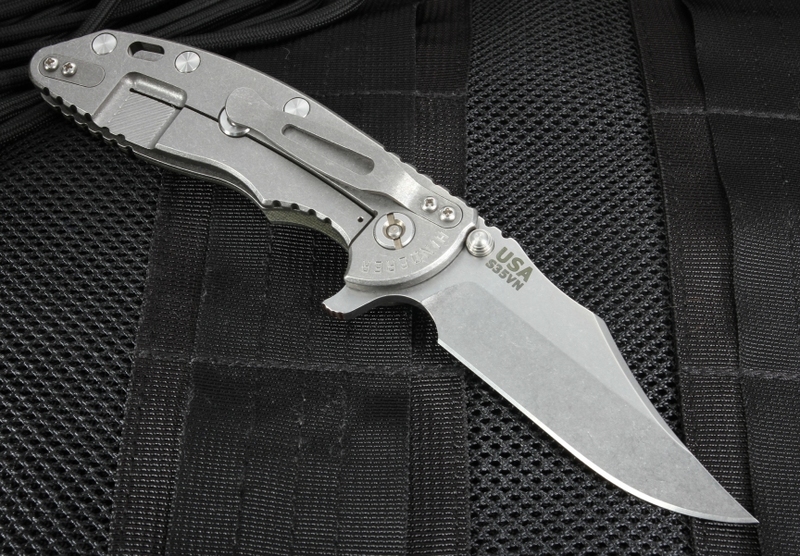 The blade of the XM18 is made of S35VN stainless steel for added durability and toughness. The CPM process provides an even distribution of carbides for both edge retention and toughness. This high quality steel means a sharpened blade will keep its edge, and won't disappoint when you need it. The classic Bowie blade has a stonewashed finish for a scratch hiding finish for a sharp blade. 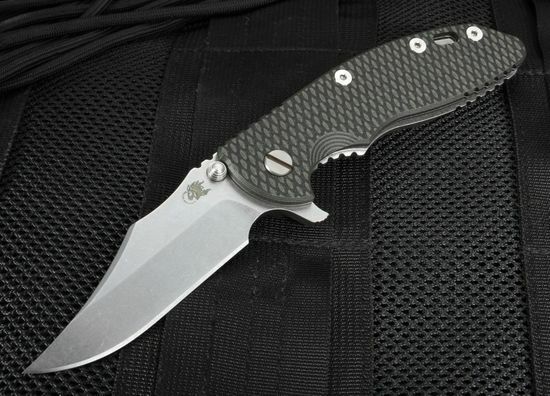 The XM-18 is a medium-sized knife, 5" when closed with a 3.5" blade. 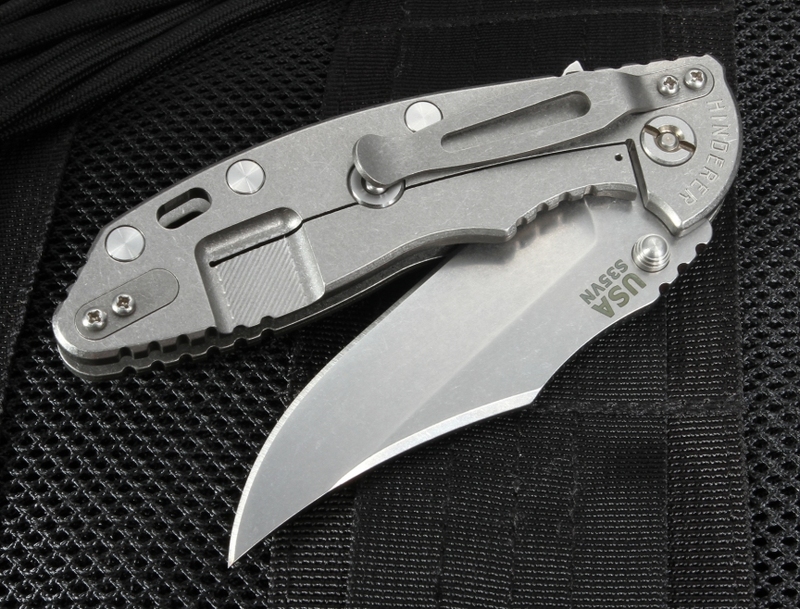 Compact and portable, this knife is equipped with both a pocket clip and a hole for lanyard carrying and weighs only 5.5 oz. The titanium handle, which has a black and green G-10 handle scale on one side and titanium on the other, has dual thumb studs and a flipper for convenient right or left-hand operation. The knife is also equipped with a Rick Hinderer framelock and stabilizer to help ensure your XM-18 stays open and locked, when you want it to. 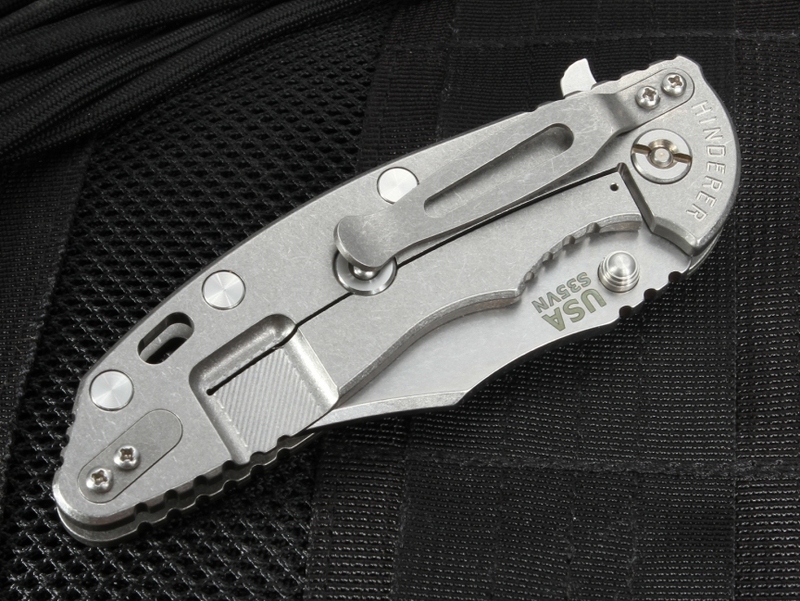 The titanium pocket clip can be mounted blade tip up or tip down, based on the user's preference. If you need a quality American-made knife that is dependable and stunning, look no further than Rick Hinderer's XM-18 Bowie blade tacatical folding knife. It's the perfect balance of stability, beauty, and durability.